Random Thoughts of Gil Camporazo: How To Blog for Money! How To Blog for Money! As I get more experience in writing a blog and my blog, Gil Camporazo's Randomthoughts! has attracted more traffic, making money from it seems tempting. This dream to blog for money seems not to remote for me especially when I stumble upon Posts Genius. My interest sparks like a fire. I want to find out whether I could make money out of this promo. But I find an option to this. It is Redgage which "provides users with various opportunities to monetize content." Now you have the options. But I prefer Redgage. Check it why. In Posts Genius both the bloggers and the advertisers could gain mutual monetary benefits. See the following pictures. 1. Earn thousands of dollars by writing website, product or service reviews. 2. Publish articles, posts and reviews on your own blog/website and earn money for it. 3. Increase your blog´s readership by providing high-quality articles for your audience. 4. New highly targeted content will drive up your search traffic. Posts Genius will teach you how to write. 5. 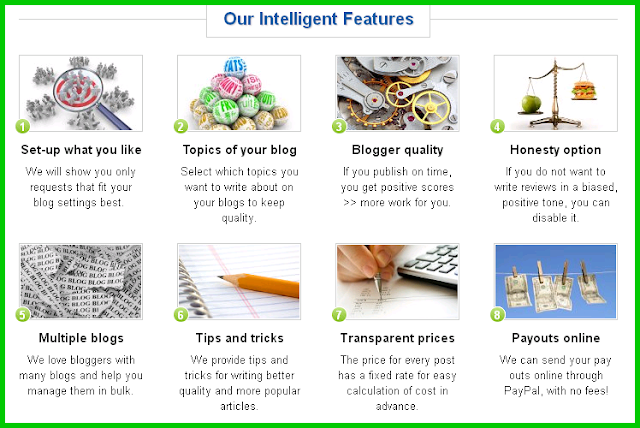 The Posts Genius will pay you from $5 to $1000 per published blog post according to your blog´s quality. On the hand, the advertisers hire you as blogger to announce or make a review of their products, services, websites and what they have to the world. They may also buy blogs, purchase reviews and generate traffic, buzz and links to your site; thus, increasing your blog traffic..
How does the Advertiser and the Blogger work together? 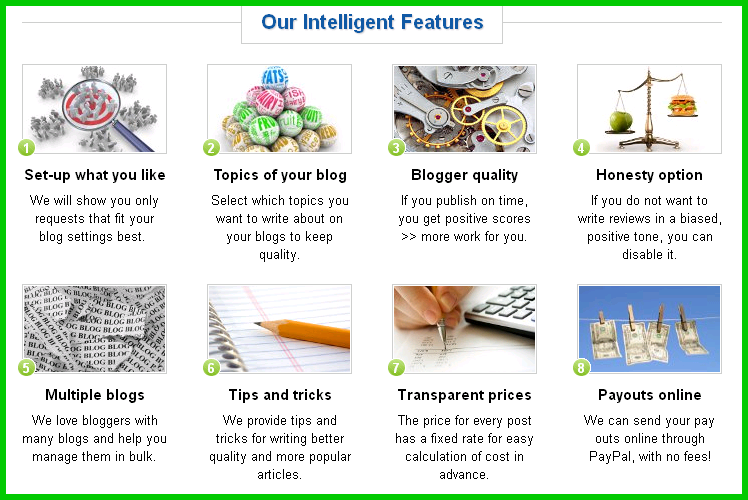 Posts Genius has several beneficial mode of service as what has been mentioned above: What I like from its features is "Blogger Quality" , "Honesty option" and of course, "Payouts online." Thanks for sharing this! I'm joining. Thanks for the information! I'll check it out! thanks for sharing ,i will join soon.